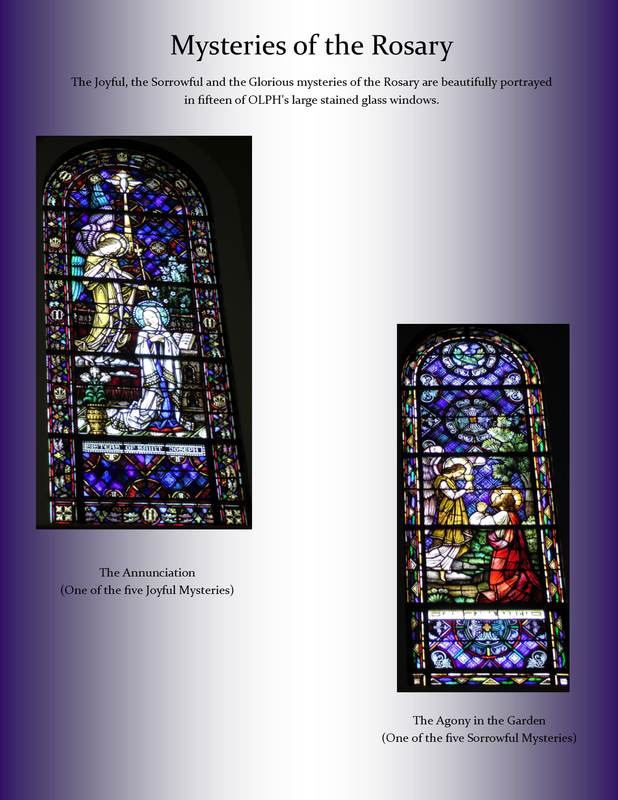 The stained glass windows in Our Lady of Perpetual Help Church are remarkable. 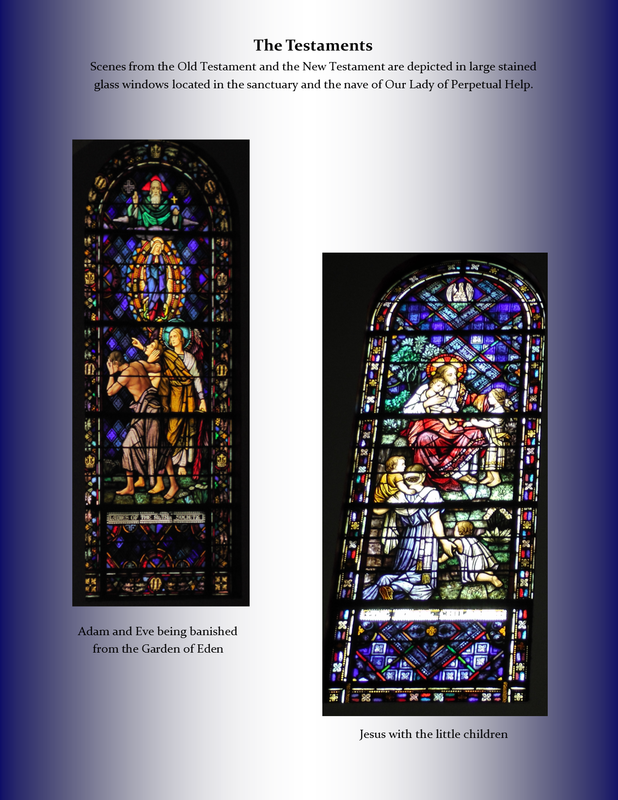 Richly colored, more than 40 stained glass windows help provide natural illumination which produces a lovely glow throughout the entire church. 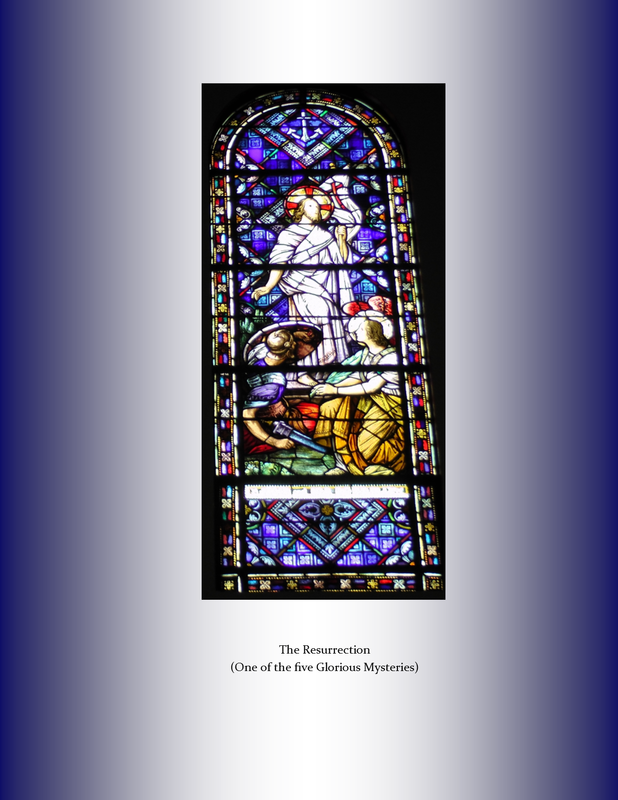 The Joyful, Sorrowful and Glorious Mysteries of the Rosary are rendered in exquisite detail in fifteen of the large stained glass windows in the sanctuary and nave of the church. Scenes from the Old Testament and the New Testament are portrayed throughout the church. 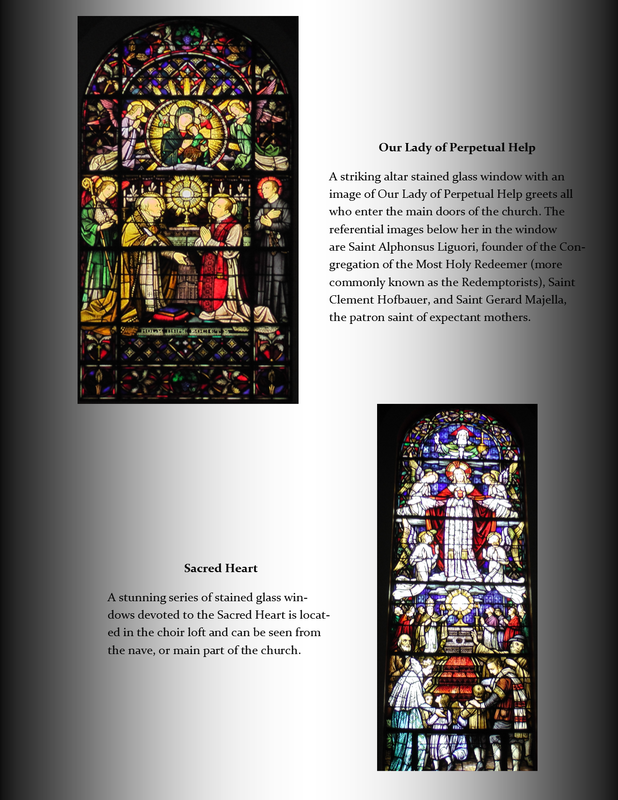 Our patroness, Our Lady of Perpetual Help, is detailed in the dominant altar stained glass window. 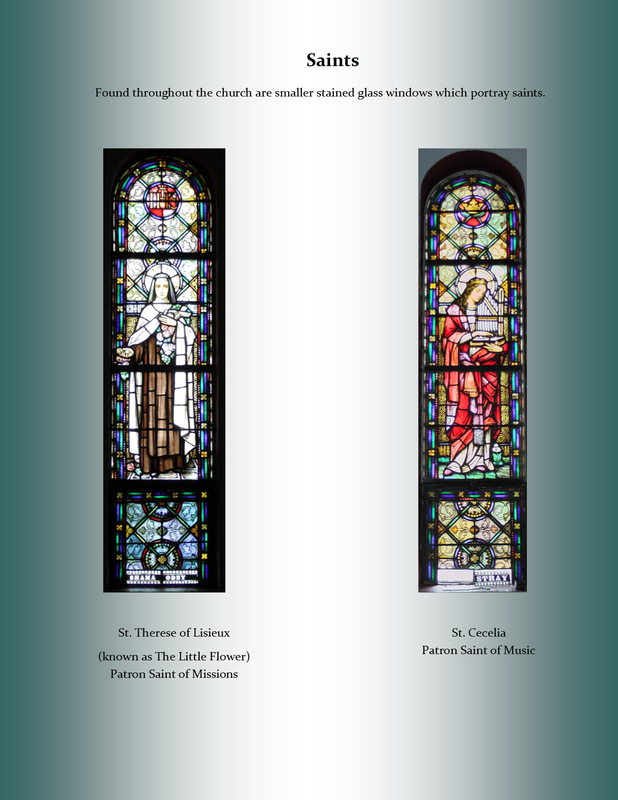 The generosity of The Holy Name Society, the Sisters of Saint Joseph, the school children of OLPH Academy, the Ladies of the Altar Society and many other OLPH parishioners and supporters made the creation of these beautiful windows possible. We are continually blessed by the benevolence of others from long ago.